I train clients how to use their WordPress sites, and WordPress’ relatively new post-locking feature has made it impossible for clients to look at the same page or post as me to follow along. So how do you get rid of this popup? Also remember to remove that if you’re in a production environment. 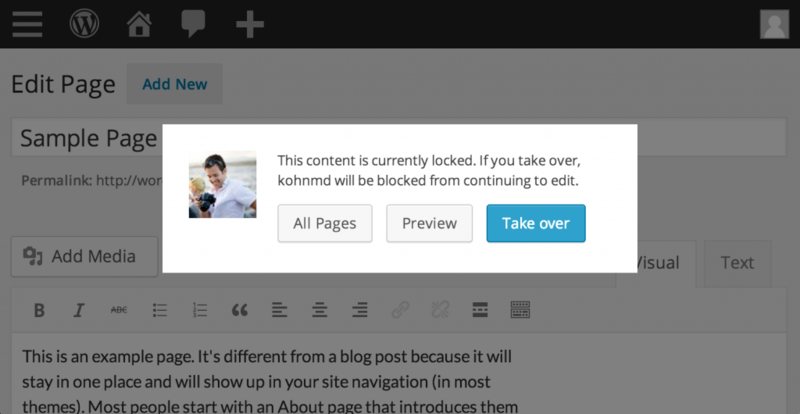 WordPress added the post lock for a good reason, and it should only be removed temporarily or if you’re the sole admin.